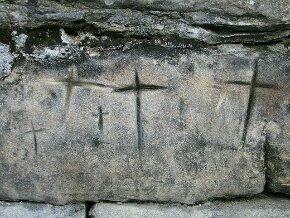 After all, we follow a crucified God who told us to take up our crosses and follow Him (Lk 14:27). He told us that we should expect persecution and turn the other cheek when attacked (Mt 5:39). We are also told in the Scriptures that we will experience spiritual trials and hardships (Jam 1:2ff.). This may seem hard to sync with the Kingdom message of fighting suffering through healing, deliverance, poverty reduction and peacemaking. But it is one of the Kingdom paradoxes – while we should alleviate suffering, we should be ready to suffer. We should not seek suffering or be happy when others suffer, but when we are affected by suffering, which undoubtedly will happen from time to time, we should not interpret it as being abandoned by God but see it as a humiliating experience for us to identify ourselves with Christ. Many Charismatics who experience a lot of miracles and breaktrough has also gone through deep pain. Smith Wigglesworth, the British Pentecostal healing preacher who raised several from the dead, lost his wife in the beginning of his ministry, and he himself got very sick in kidney stones. John Wimber prayed för thousands of people who got healed, but he died in a very painful fight against cancer. Heidi Baker is living in revival in Mozambique but just before the breakthrough she, her husband and her daughter were very, very sick and they had barely any money to continue. Another example is Surprise Sithole, Heidi’s South African friend and co-worker. In his book Voice in the Night, he describes how he was a child of a family of witch doctors in Mozambique, and that God called him on night through calling his name and commanding him to leave hos village, or else he would die. He left the village and eventually came to another where he met a Christian who taught him about Jesus. Later, he found out that an enemy tribe had went to his village and killed all of his family. He had been rescued, but all his loved ones died. Years later, he travelled as a missionary to spread the Gospel in the midst of the civil war. He was travelling with several others in a truck, guarded by soldiers. Suddenly, they hit a mine and the truck exploded. Surprise saw how two hands from heaven came and lifted him and took him to safe ground. He didn’t receive a scratch, while everybody else were burned alive. The soldiers didn’t realize how he survived but put him in a van. Just before they started travelling again, a soldier however thought that it was overloaded and commanded Surprise and some others to change vehicle. Before long, the van he had left hit a mine and everybody on it died. Both of these experiences were of course very painful for Surprise, because while he was thankful that God supernaturally rescued him, knowing of the brutal deaths of those who for some reason weren’t rescued was horrible. Still, Surprise is one of the most joyful people I know of, with a big smile and heart. Suffering is not easy to understand. But we should not ignore it or explain it away, because it has an important role even in the charismatic movement. By Micael Grenholm in Church & Theology, Signs & Wonders on March 26, 2013 . Excellent post brother, apostolic power always means apostolic suffering also.